TRX HOME2 gives you everything you need to build a better body at home – or on the go. 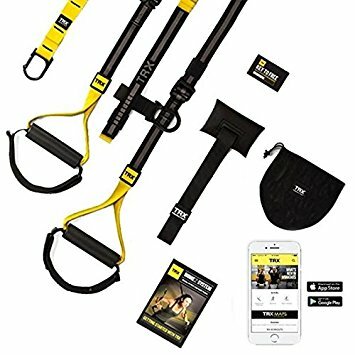 With a TRX HOME2 Suspension Trainer and anchor, a workout guide plus personal code to get access to the training programms and instructions — the TRX HOME Kit allows you to get the professional results you want – on your schedule. The Door Anchor is a padded block that connects to a looped strap. Slip the Door Anchor over any sturdy door, clip on your Suspension Trainer, and your ready for your workout – at home, the office, the park, or a hotel room.